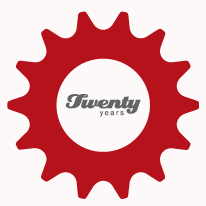 Celebrating the Community Cycling Center’s 20th anniversary is a humbling experience. When we started the campaign at the beginning of June, we never thought it would be as wildly successful as it has become. We set a fundraising goal of $30,000 and our community of supporters rose to the occasion and gave generously. We raised $37,400! Thank you all so much. During the same month, we also established and launched the first annual Bike Mechanic Challenge. The event alone raised over $11,000 and built a sense of community between bike shops while honoring the hardest working people in Portland’s bike industry: mechanics. An anniversary is not complete without honoring the past and we would not exist without Brian Lacy, our founder. We sat down with Brian to discuss the early days. With his vision, he launched core programs that still inspire our work today. With ongoing support from donors and volunteers, I am confident that over the next 20 years, we’ll continue to create a more inclusive and welcoming environment for riding bicycles. With your help we are shaping the future of transportation and look forward to riding with you all in a city built for two wheels.